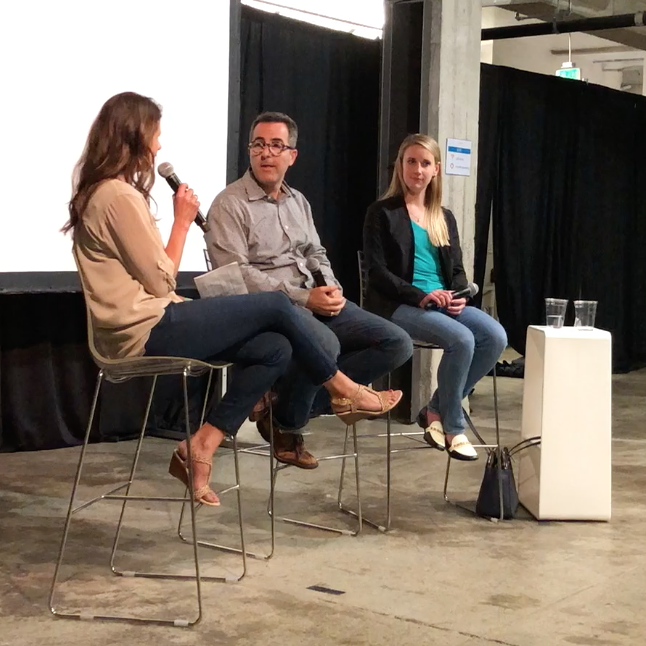 This is Part 2 on token design pulled from a Crypto Underground panel I did with my friends, Sarah Hody, Associate at Perkins Coie and Rob Massey, Tax Partner at Deloitte. Combined, they have almost 10 years of blockchain experience, which definitely makes them industry experts in this new field. Below are the topics discussed by Rob & Sarah. You can watch the Facebook Livestream here. Because of the length, I split up the content between several posts. Q: What are your thoughts on raising capital using a SAFT? SAFT stands for a Simple Agreement for Future Tokens. But, according to Sarah, SAFT’s are not even close to simple. This investment contract is modeled after the SAFE, Y Combinator’s financing documents, and allows investors to fund developers in exchange for future tokens once created and functional. Equity and fundraising go hand-in-hand but once you throw tokens into the in the bowl, they don’t mix well. There are 2 major ways you can get in trouble with a SAFT: 1) Bad Substance - you’re actually creating an investment contract like the DAO, and 2) Marketing issues. If you pitch your token as an investment, you’re going to get in trouble with securities law. Need to be careful about how you’re marketing what you’re selling. SAFT has the idea that what is now lines of code will later become useful on a new distributed network. Perkins Coie has a create a SAFET (I think this is the correct acronym!? ), which is a traditional equity agreement that gives investors an option at the next fundraising round to take tokens if there’s an ICO. This agreement draws a clear line for the SEC that this is a security agreement with an option to take a commodity in its place (the token) at a later time. The SEC understands this. It’s much harder for the SEC to determine where the line is in a SAFT because of it’s morphability. A SAFT is just an agreement for future tokens. There’s no clarity on what those future tokens actually do or when they cross the line from from code to commodity. This makes it much more confusing for the SEC. Even if you have a distinction with equity K and token optionality, you then might get into CFTC regulations because then you’d be selling some sort of forward commodity. We could go down the rabbit hole here but the point is that the SAFT is anything but simple! Tax is even more wacky when you’re trying to raise capital and deliver tokens, according to Rob. What is this thing? It’s a financial instrument. What does the token represent that will be delivered later? Whatever it is, it’s probably going to be taxable. Today or later? Anytime you take in money, it’s likely taxable unless there’s an exception. What’s an exception? Selling equity is not a taxable transaction but are tokens considered equity? This depends on the nature of the contract and underlying properties of the token. If you take equity and later allocate tokens to investors, distribution of appreciated property out of a corporation also triggers tax so this isn’t a work-a-round. Q: Advice on on the early days - Advisors & IP. It’s really important that you seek out advisors that know what they are talking about. Be careful who you trust. Don’t follow advice just to do something because there’s not a bright line rule about what you can or can’t do. That doesn’t mean there isn’t precedent out there that can guide you to the right thing to do. Once you find good advisors, talk to your them early and often and TAKE THEIR ADVICE once they give it to you! Don’t wait until you’re about launch your ICO before getting advice. Considerations like where you build your IP and which entity owns it matters very early on. Make sure you get this right. Also, watch out for marketing issues. Don’t use the terms ICO. If you’re selling a product, then you should be talking about it like Apple selling the next iPhone, not like an investment opportunity. Q: What to be Aware of When Allocating Tokens to Employees and Advisors. You’ve told your founding group and employees about lofty token allocations they’ll be beneficiaries of - now what? When you give someone a token, it’s highly likely its compensatory and you need to withhold payroll tax. Unfortunately the government doesn’t take tokens (yet! ), so you’ll have to come up with the payroll cash right out the door. You need to make sure that you place a value on the tokens at the time of issuance. If they aren’t worth anything, make sure that’s true and documented. You need to get a valuation. If you sell the tokens for $5 and don’t have any original valuation to stand on, you’re in a very bad position of having to come up with a whole lot of cash very quickly to cover the payroll tax. This can be very problematic, especially when we’re dealing with large sums of money. Q: How much does it cost to talk to lawyers/accountants? 2 ways to think about it : full blown token sale $400K range (touch on lots of different areas of law especially if you’re trying to do a utility coin). $50K range if you just want advice on raising funds to create platform and set up business structures for legal and tax implications (My input - Remember that this is big law pricing. Blockchain lawyers and accountants come with a hefty price tag and you can certainly find services for much cheaper than this. Make sure the counsel you talk to knows what they are doing and has good malpractice insurance, which is one of the benefits of established firms). Q: What can tokens be used for after ICO’s? Generally corporations have token reserves. And the services the tokens are used for can be appreciated property. When a token leaves the corporate solution, it’s usually a taxable event. If it’s a barter transaction and you buy services, it still triggers taxable action but you can also write it off. You must be able to track all the tokens coming and going from your ledger. Make sure you watch out for offset and what they are being used for. It really depends on how the tokens are used to determine the tax liability and you need to be able to justify that use. First, let’s talk about barter transactions - trading clubs for meat. Blockchain transactions have brought us back to bartering system. What is the value of property being exchanged between the parties? From a regulatory standpoint, it really does matter what the token is made to do. FinCEN gave guidance that if you’re an exchanger of convertible virtual currency then you are a money transmitter. Guidance hasn’t aged well because you could argue that every token out there could fall with convertible virtual currency. If you have reserve of tokens and you want to sell them on an on-going basis after an ICO, that may make you a money transmitter which means you’ll need to create a AML/KYC program, allow FinCEN to come on-site to do an exam, and comply with suspicious activity reporting. Regulatory requirements continue to follow you well past an ICO. Here is Part 1 - Where to Incorporate, Which entity to use, SAFT, and Non-Fungible Collectables.